Today I went to a School of Art lecture series featuring Golan Levin, who teaches my information visualization class with Ben Fry. He showed mostly older work, but it was an interesting and impressive display of digital art. His Manual Input Sessions work was the most impressive. 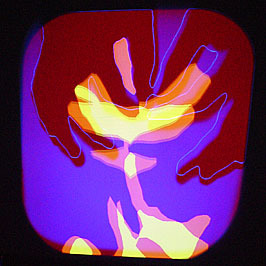 Hand gestures made on a projector produce shapes that are translated to sound. You can check out his work at flong.com.